We are selling real estate agents, we have a wide portfolio of properties in the area of the Marina Alta, Costa Blanca, especially the coasts of Moraira, Benissa, Javea, Calpe and Benitachell. We also have extensive experience regarding the rental, management and maintenance of holiday and long let homes. Our offices are situated in the historical centre of picturesque village of Moraira just a few steps from the church and the church square. Why the name of this company? It is not easy to find a name that reflects on a project. For different reasons the name came to us, the toponym Andragó, not far from where our first office was, on the other hand, when we opened the door of the premises, a Gecko welcomed us. It is very common to find this small reptile on the Mediterranean coast. 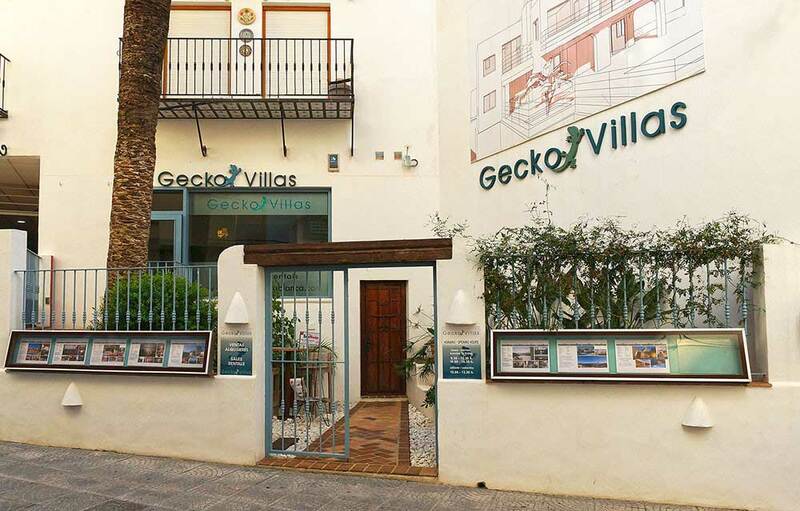 By this coincidence was born the name of the company Gecko Villas. We are a dynamic company, and we try to optimize our work to offer the best service to the needs of our clients. So, our daily activity is created by the demand of our customer and we are involved in all phases of the purchase so that neither owner nor the purchaser do not need to worry about anything.